"Our main focus at All-American Goalie Camps is to develop any range of talent into a better, more accomplished, Goaltender. Through results driven training and years of proven techniques and coaching methods, we focus on making sure every goalie leaves the ice better then when they came on. With a combined experience of over 60 years of coaching and playing, Mike and his son Adam ensure that each lesson, practice, and game is a step in the direction of improvement, as both a goalie and a person. Each session is designed to incorporate game situations with educational instruction. Teaching the technical side of goaltending is not enough, we make it our priority to educate goalies on how to compete and win under pressure situations." The evidence of this can be seen in likes of Mike's current, and former, goaltenders. 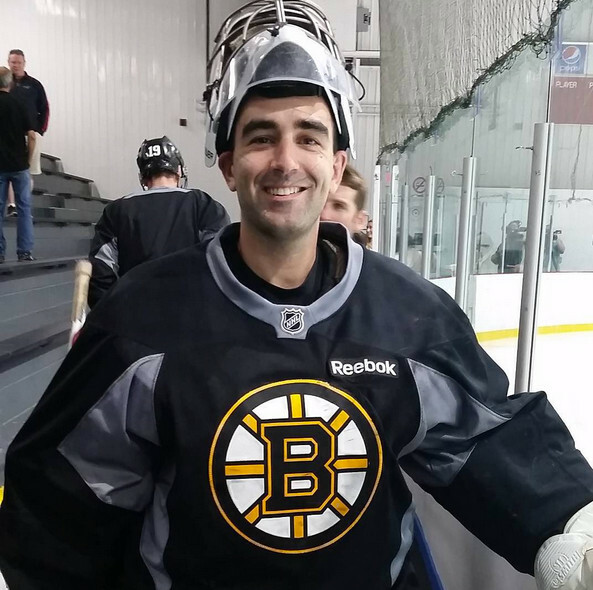 Mike is the goalie coach for the Hockey East Champion Boston University Terriers. Click here to see Mike Geragosian's Full Bio.